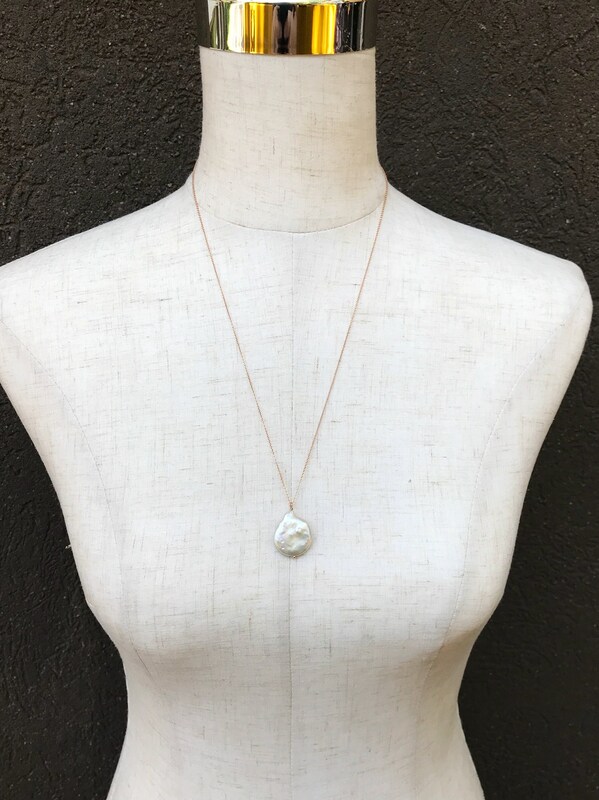 A beautiful genuine ivory cream baroque shape freshwater coin pearl is the centerpiece of this simple and timeless pendant necklace. 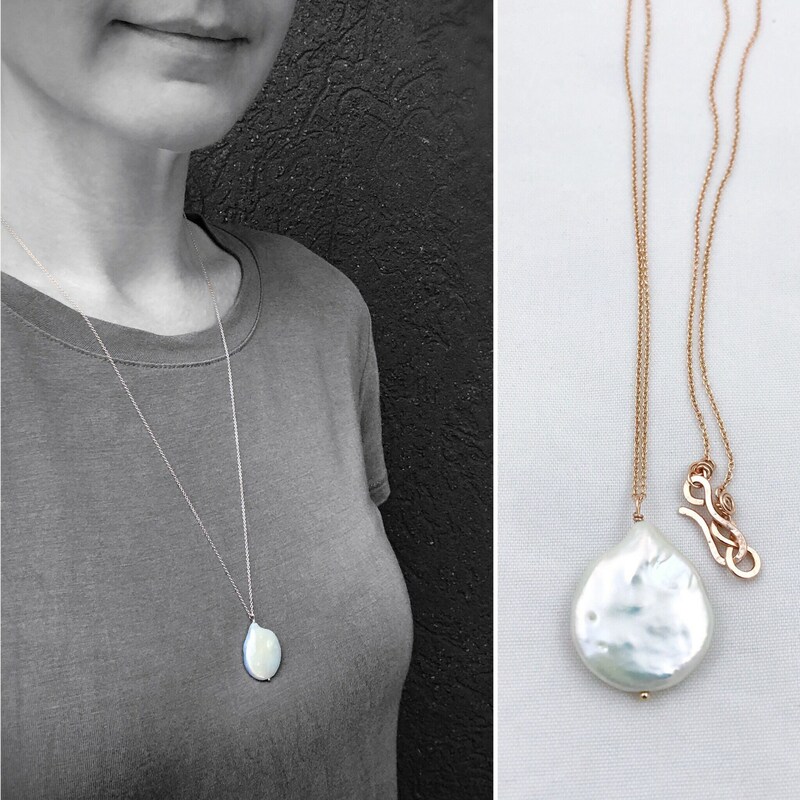 Set on a 14k rose gold filled headpin and dangling from a 14k rose gold filled chain, it makes a simple and elegant statement. 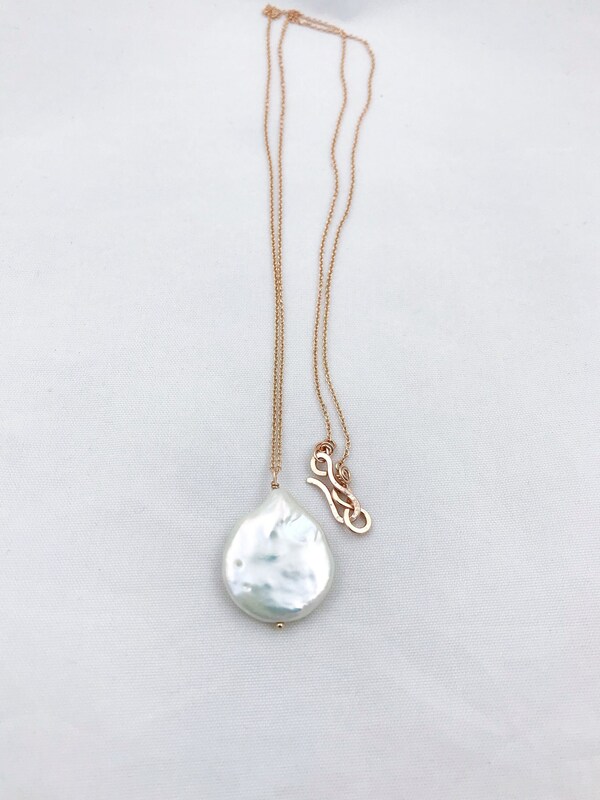 This necklace is made to order and no two pearls are exactly the same. 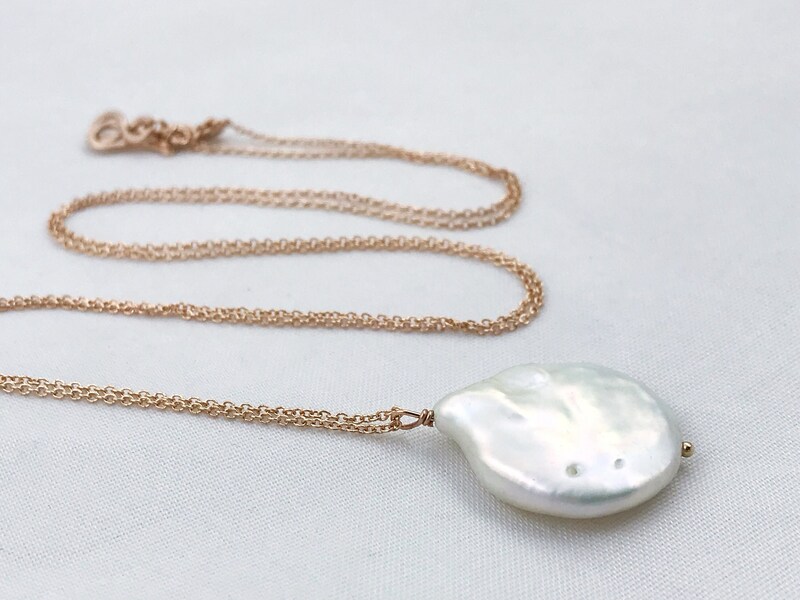 Yours will be created just for you with it's own unique and beautiful baroque coin pearl. 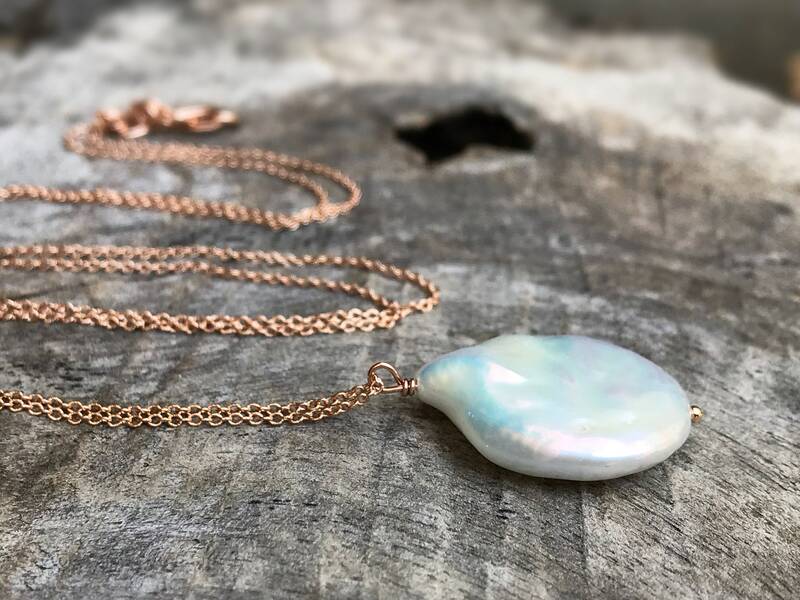 -Necklace features a single genuine untreated freshwater coin pearl, baroque flat in shape and white/cream/ivory in color with pink/gold/blue overtones. 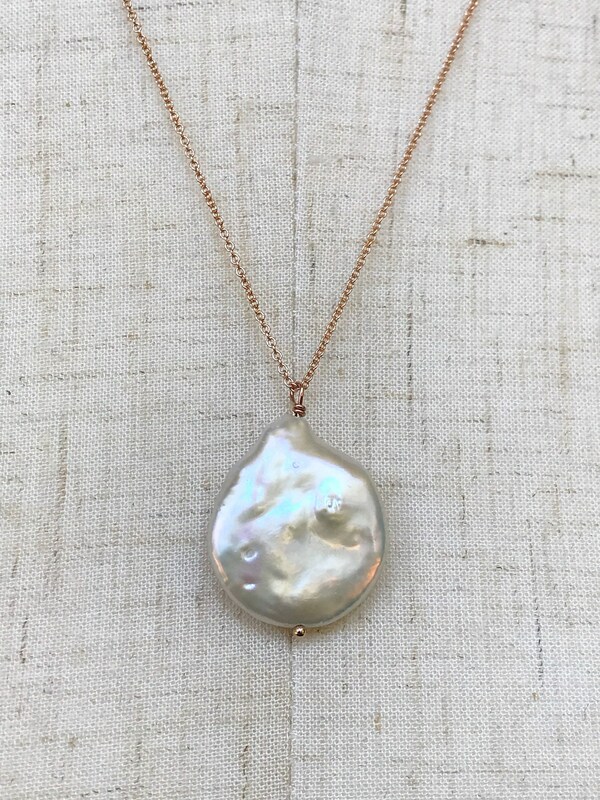 Surface shows nice luster, and plenty of rich texture as typical with genuine baroque pearls. 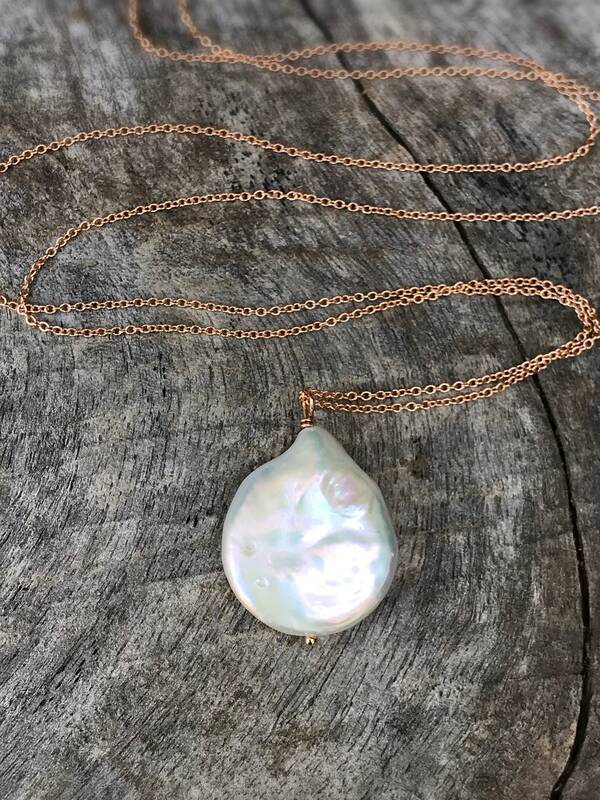 -Pearls range in size from 22-26mm (about 7/8"-1") length, 18-20mm (just under or just over 3/4") width and average 6mm (1/4") deep at deepest point. 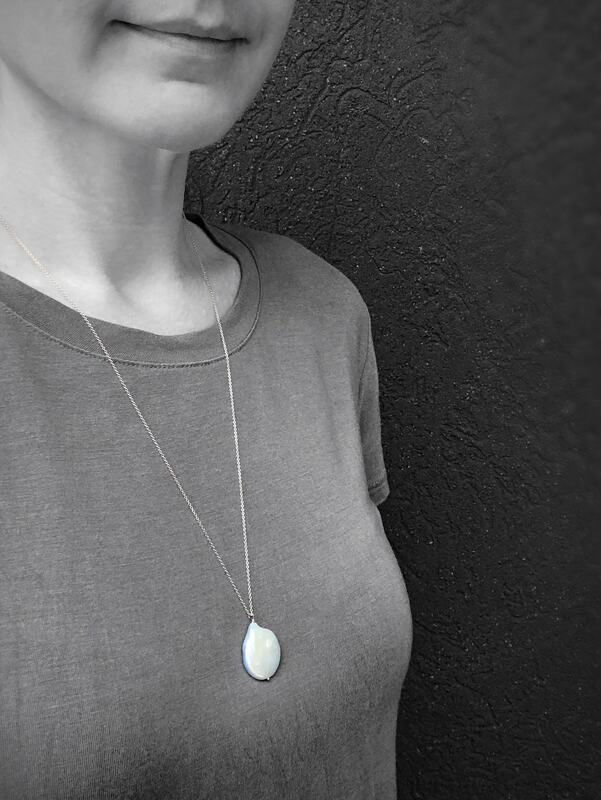 -I will choose a pearl from my collection to create your bespoke necklace. Each one is unique and they are all beautiful. 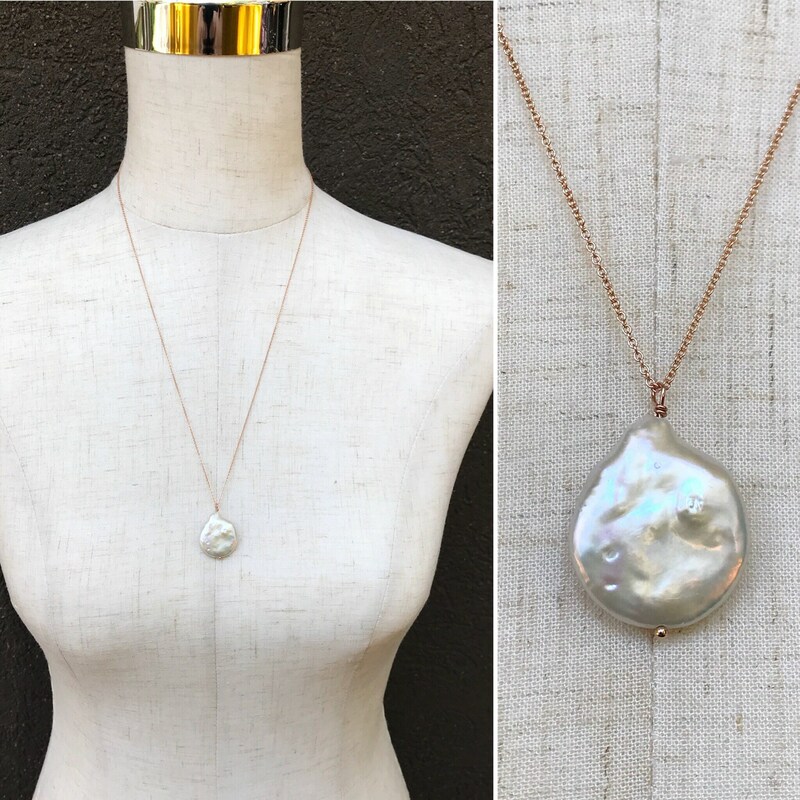 -Pearl is set on a 14k rose gold filled headpin. 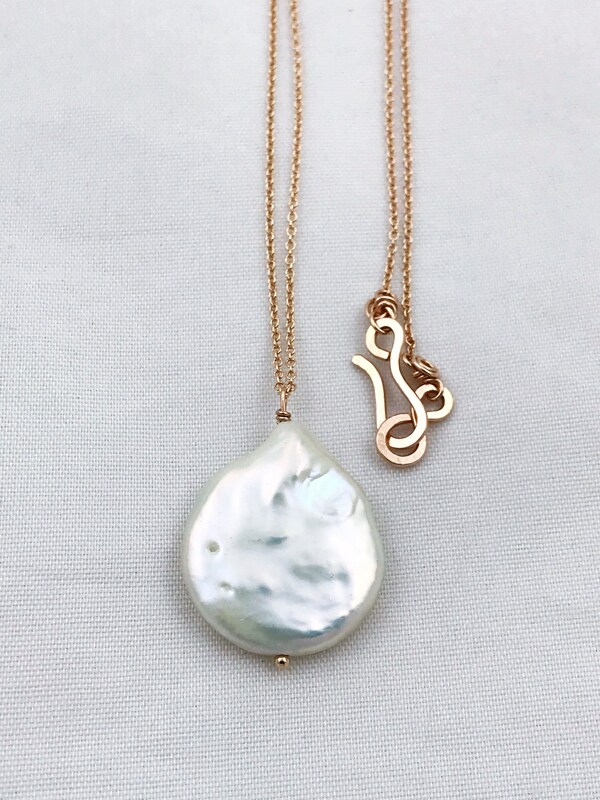 -Chain is a 14k rose gold filled 1.1mm width cable chain. It looks delicate but is quite strong.